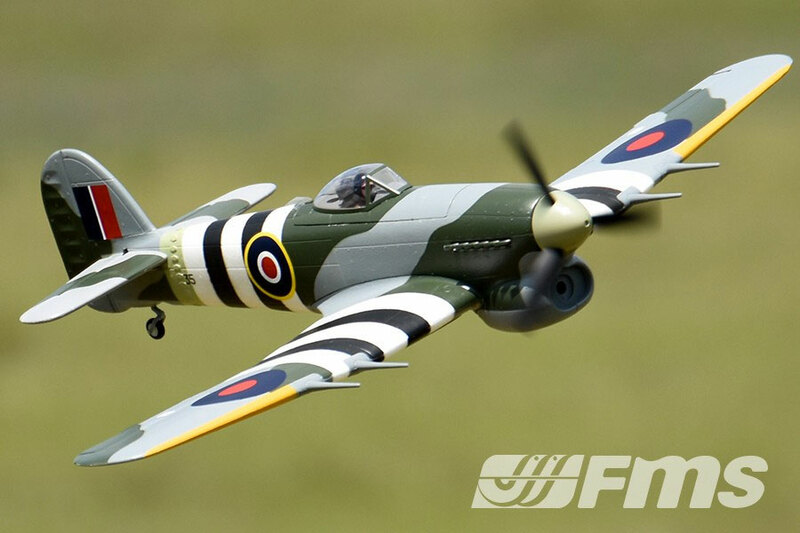 The Hawker Typhoon, was a British single-seat fighter-bomber, produced by Hawker Aircraft. 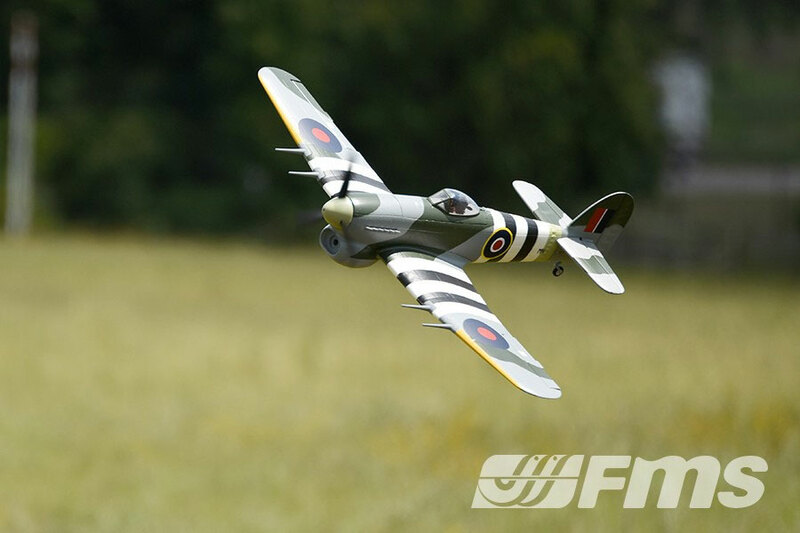 When the Luftwaffe brought the formidable Focke-Wulf Fw 190 into service in 1941, the Typhoon was the only RAF fighter capable of catching it at low altitudes; as a result it secured a new role as a low-altitude interceptor. 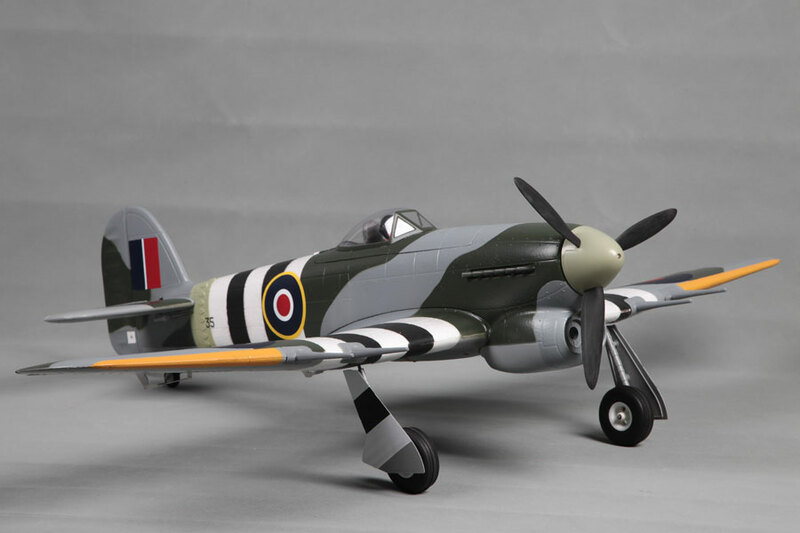 From late 1942 the Typhoon was equipped with bombs and from late 1943RP-3 ground attack rockets were added to its armoury. 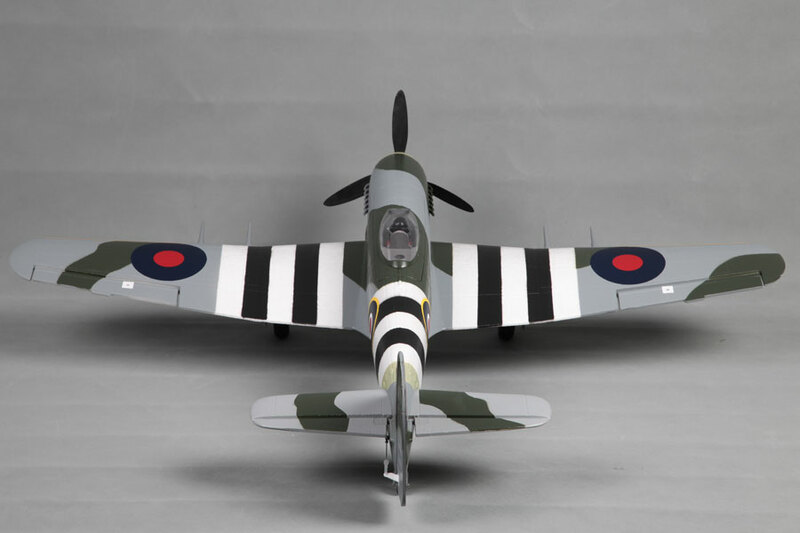 With those weapons and its four 20mm Hispano cannon, the Typhoon became one of the Second World War's most successful ground-attack aircraft. 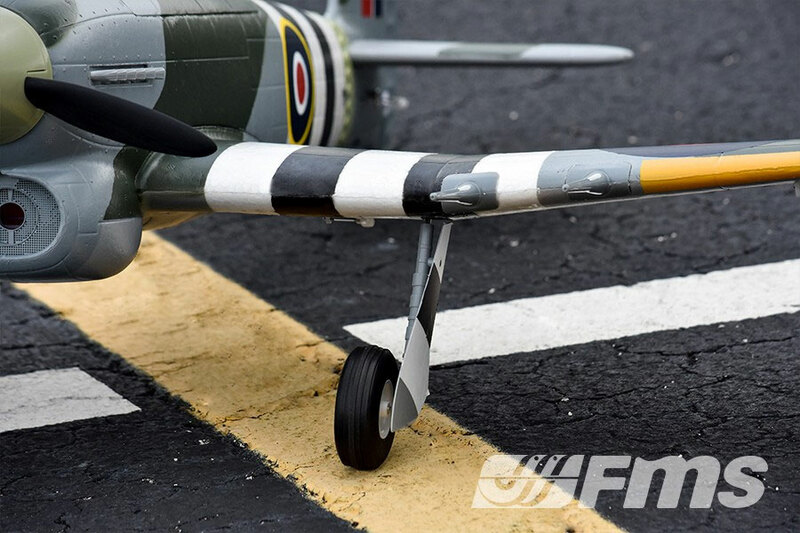 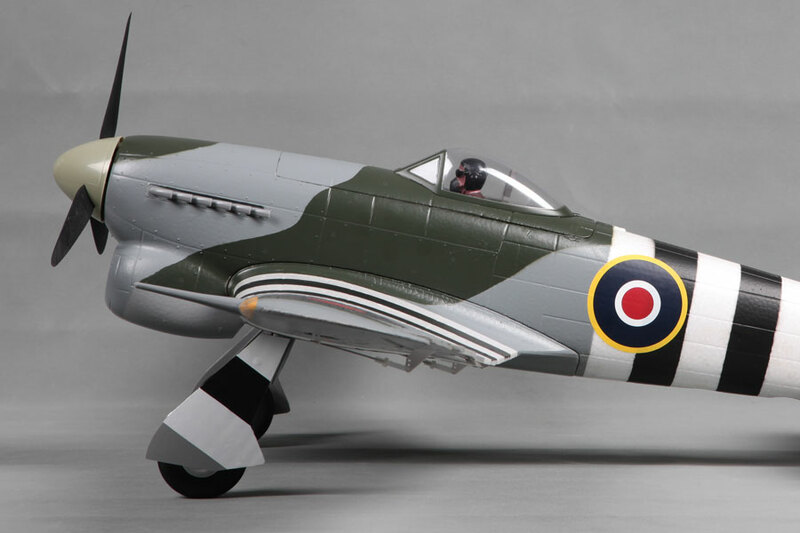 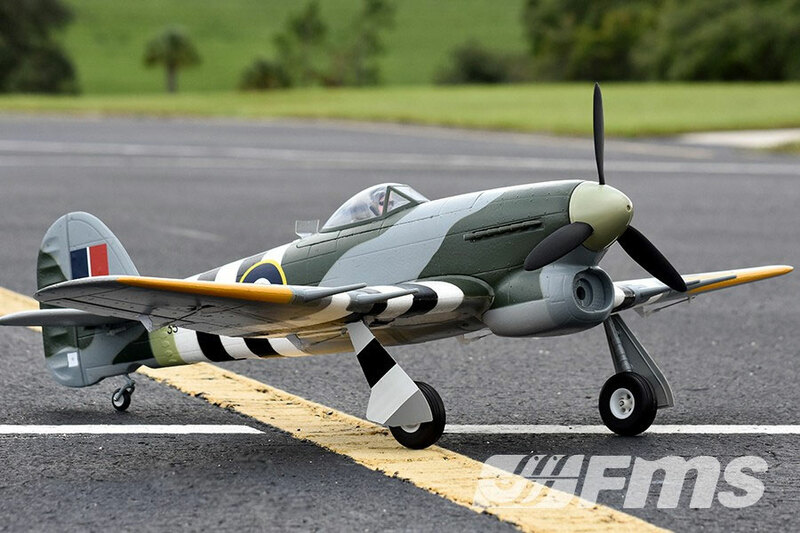 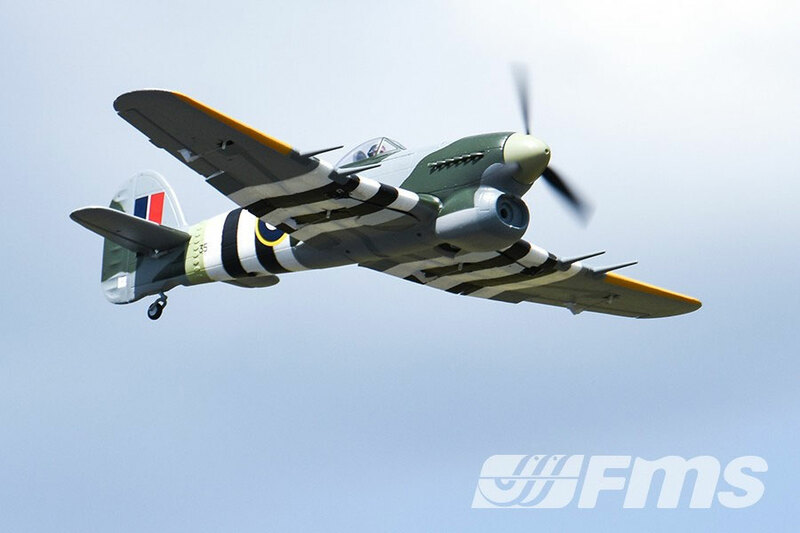 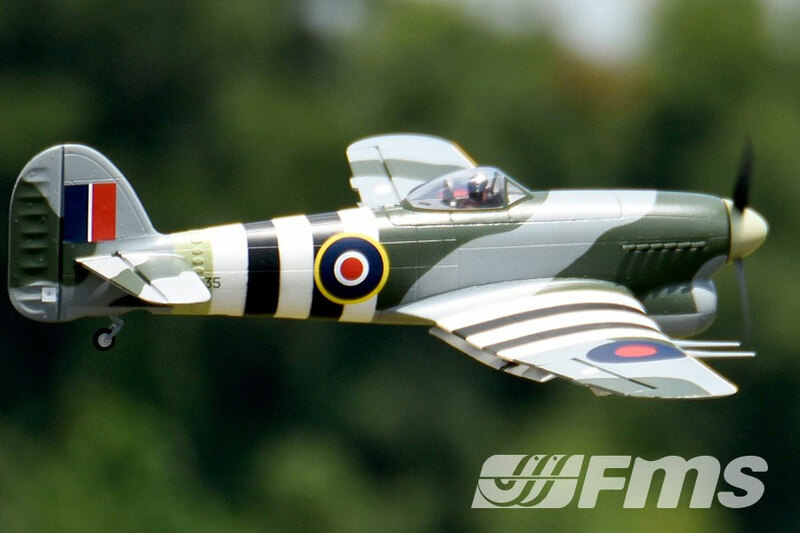 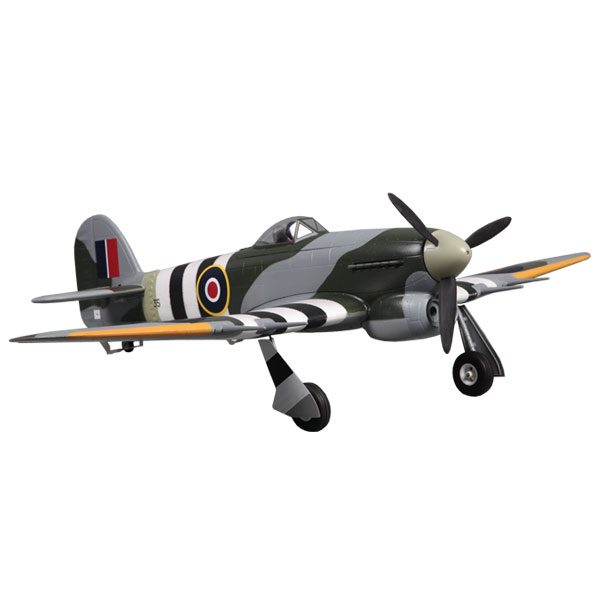 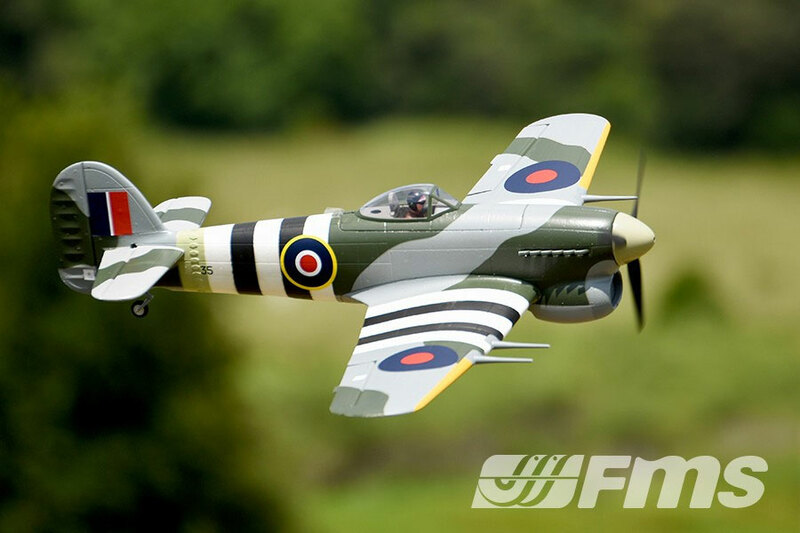 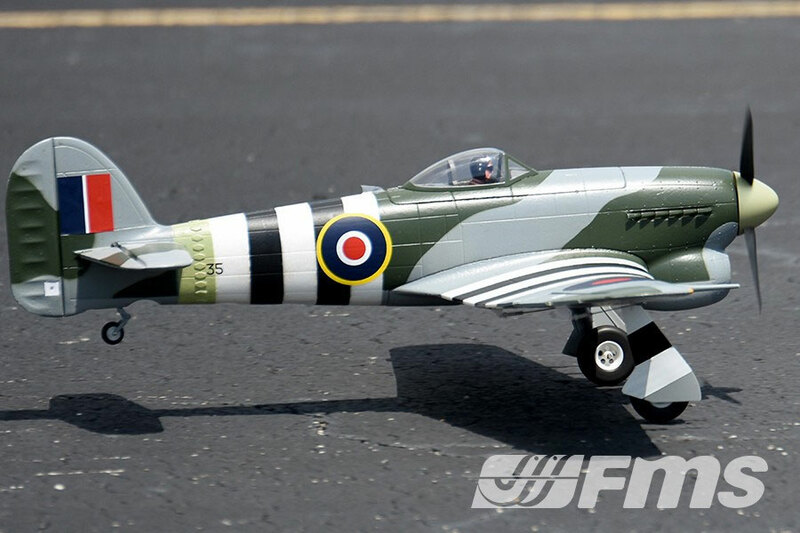 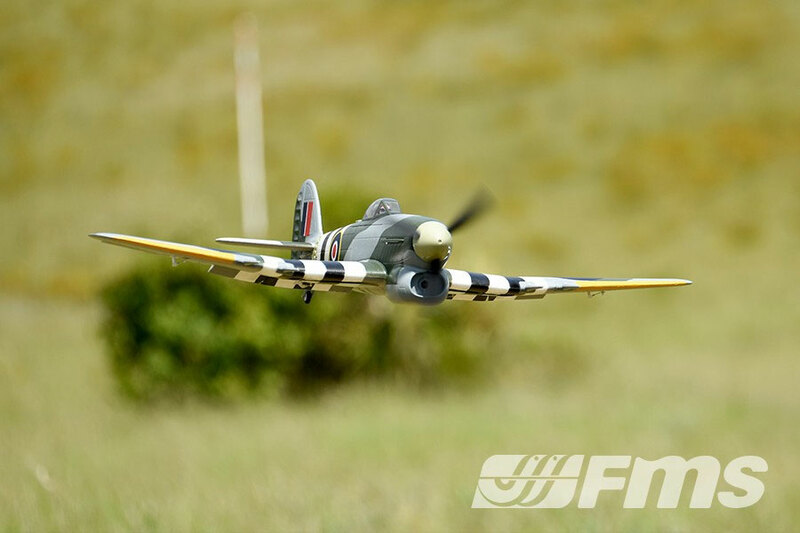 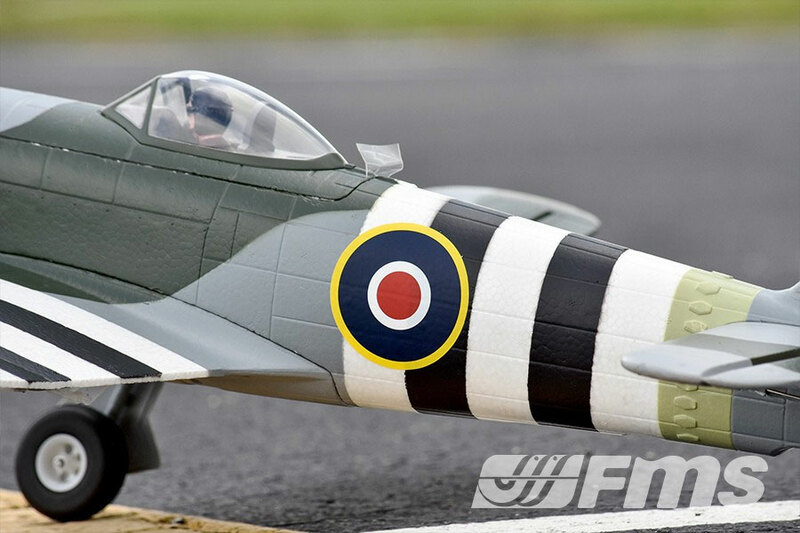 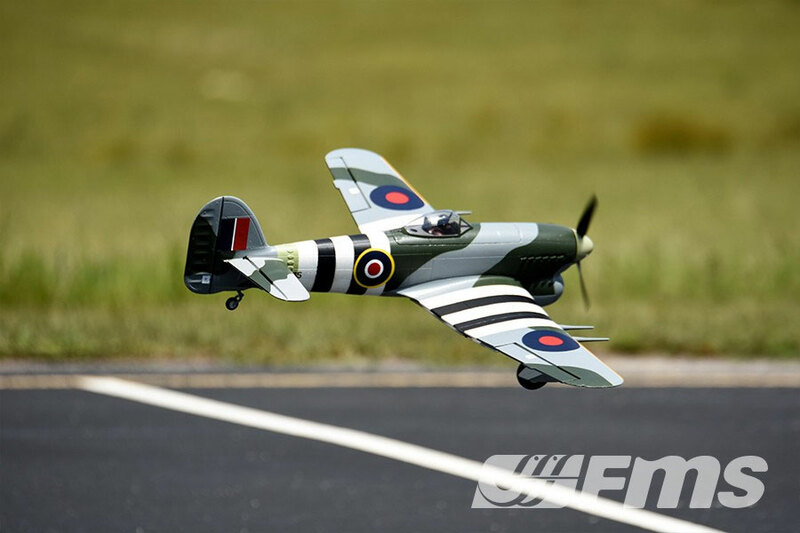 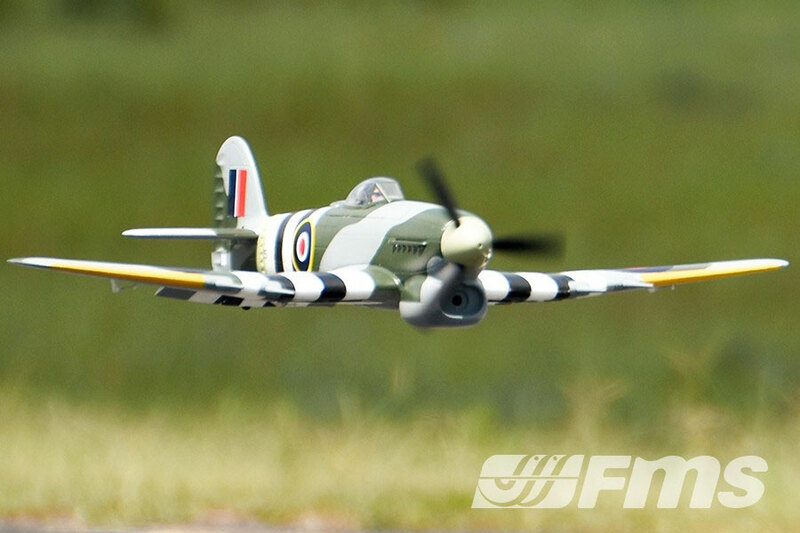 Take to the skies with one of FMS’s latest offerings, the Hawker Typhoon 1100mm PNP! 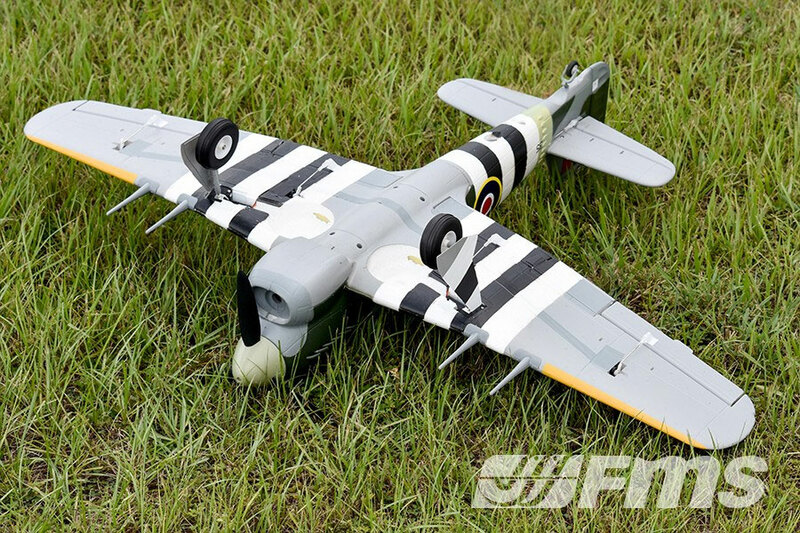 This scale 1100mm wingspan warbid is a sight to behold. 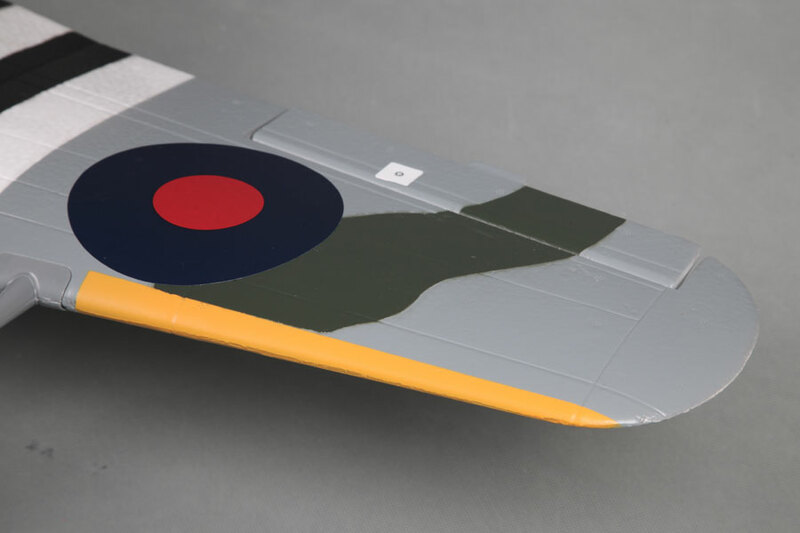 Reinforce wing surfaces allow flyers to perform advanced maneuvers like point rolls, barrel rolls, Immelmanns, half-Cubans, and split S with ease. 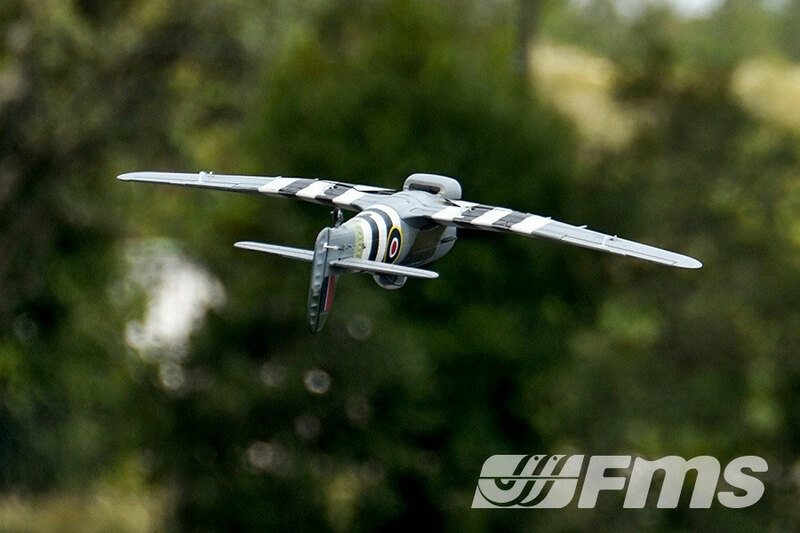 Retractable landing gear, 3-blades prop with spinner, and spit flaps all add to the realism of this incredible model. 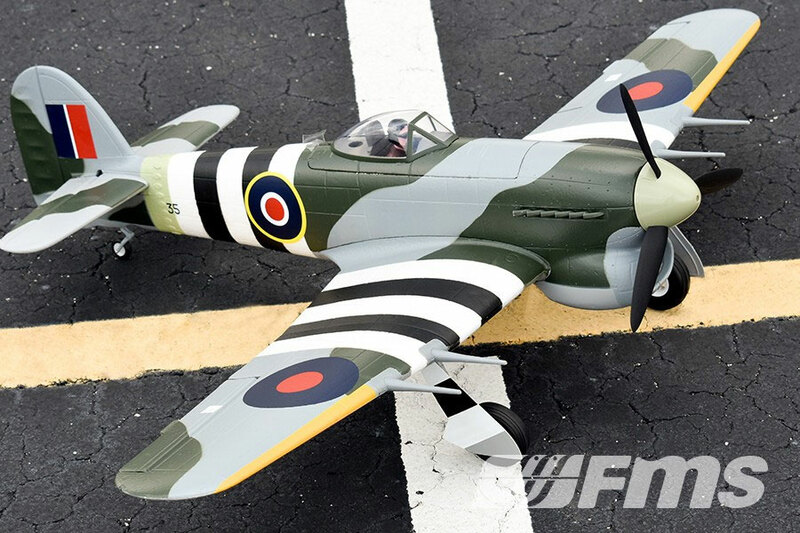 This plane has the power, detailed features, and durability that discerning flyers will appreciate, if you are looking for a British warbirds fighter, this is a great choice for you. 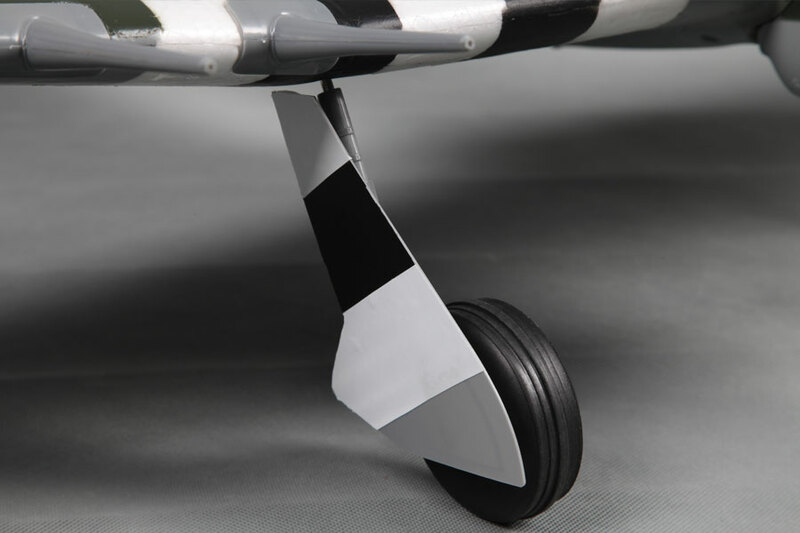 New structure optimizes the performance. 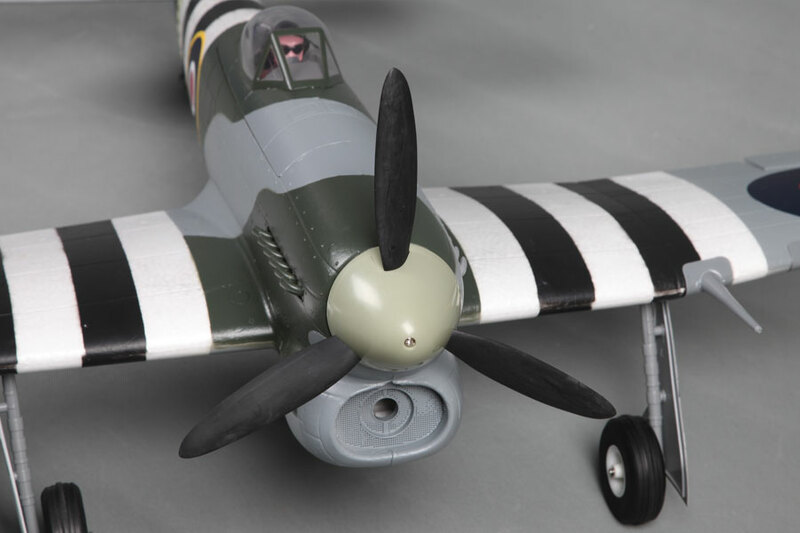 Please Note: This model is sold in ARTF (Almost-ready-to-fly) format and requires radio gear and a LiPo battery & charger.